And by “local” I don’t mean Eminem. I’m happy to know that they stayed away from a celebrity voice. Great to hear that a big corporation like Chrysler is using local talent for an ad. He needs to receive further recognition and awareness. 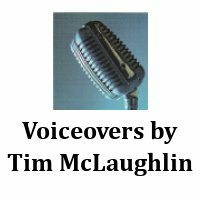 Seems like articles like this one, talking about all the trained voiceovers used in commercials (http://voicecoaches.com/blog/2012/02/voice-overs-of-the-world-super-bowl-xlvi-commercials-recap/), focus more on the big shots like Clint Eastwood.